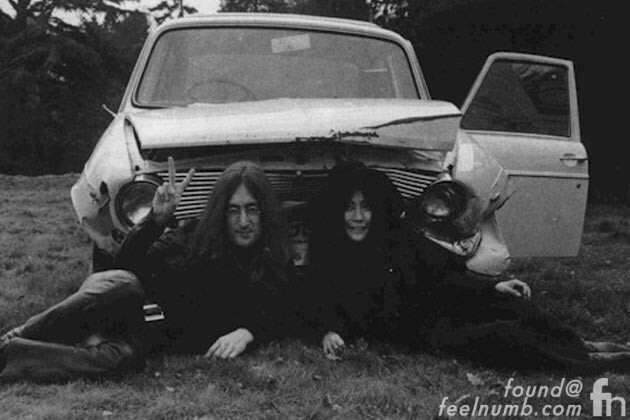 On July 1, 1969 while John Lennon and his son Julian, Yoko Ono, and her daughter Kyoko were vacationing in the Scottish Highlands, Lennon lost control of his car and crashed his Austin Maxi hatchback into a ditch. Although no one was seriously hurt they didn’t escape injury, Julian was treated for shock and Lennon, Ono, and Kyoko all received stitches to repair facial lacerations. Ono, who was pregnant at the time, also sustained back injuries. Lennon never intended to attend the start of The Beatles “Abbey Road” recording sessions on July 1 but the crash further delayed his return to London. After being discharged from the hospital he spent three days at home before finally rejoining The Beatles at Abbey Road Studios on July 9. Upon arrival Lennon arranged for a double bed to be delivered to the studio so he could keep a close eye on Yoko’s well-being. 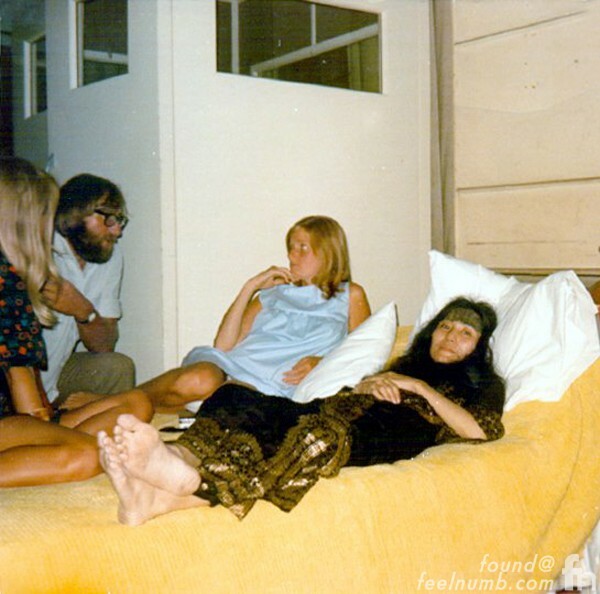 Here’s a photo of Yoko, Linda McCartney, Patti Boyd and Mal Evans lounging in the “Studio Bed” at Abbey Road. 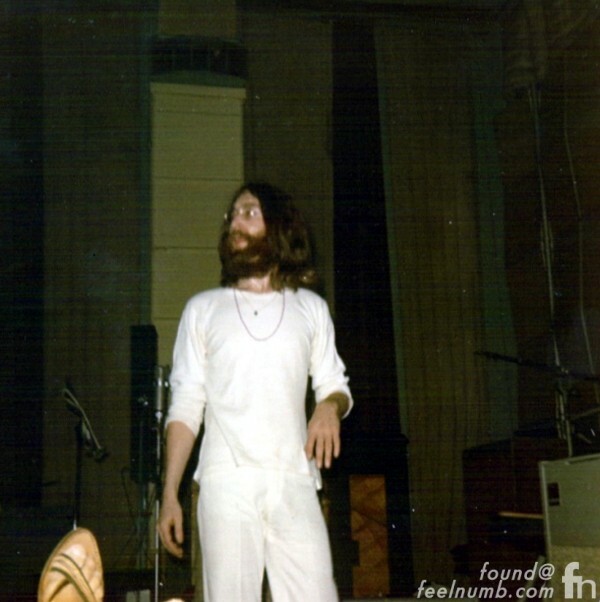 It was from this point of view that Yoko took some really cool photos that I have never seen before of The Beatles recording “Abbey Road“. 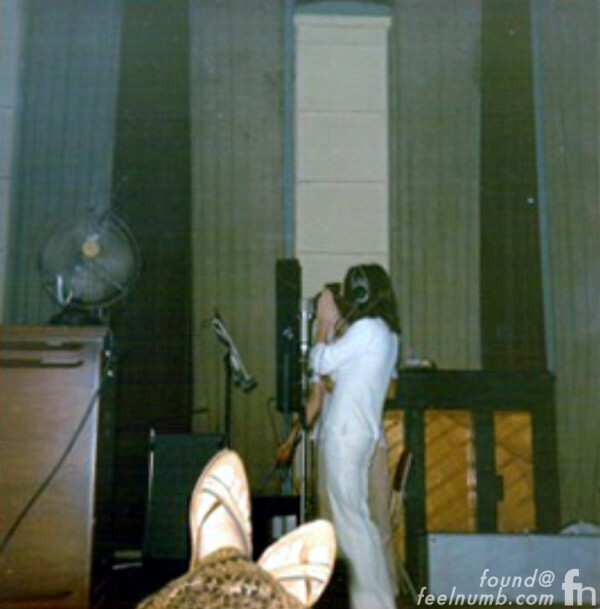 Here’s a photo of John in the studio with Yoko’s foot in the foreground. This photo is AMAZING!!! Check out Paul McCartney & Lennon sharing the microphone while laying down some vocals. 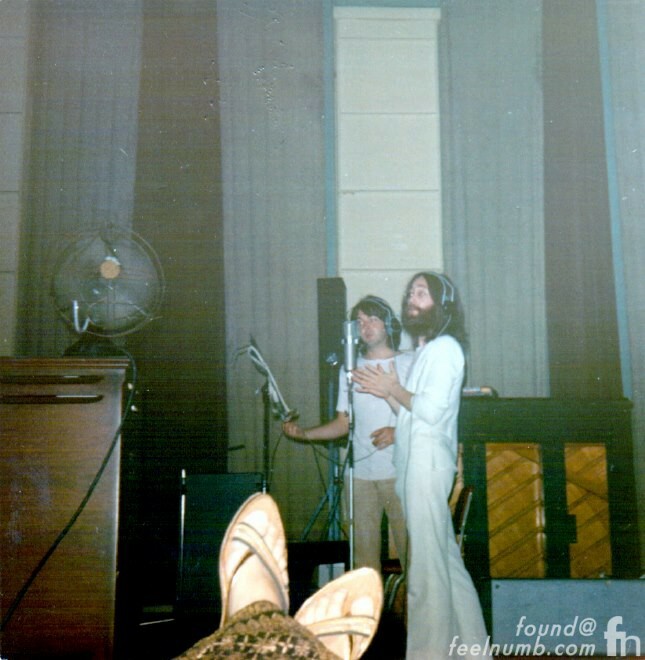 Could this possibly be Lennon & McCartney recording the hand claps for “Come Together“??? See additional photos from the session here. It was during one of these sessions on August 8, 1969 that the boys headed out to the street and took the famous “Abbey Road” album cover photo.